Dutch sailor Mark Slats and his Rustler 36 Ophen Maverick took second place overall in the 2018 Golden Globe Race Thursday night. 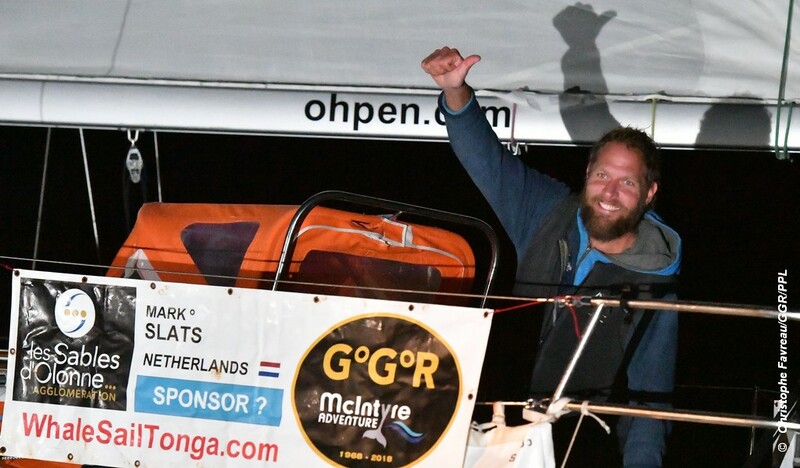 Despite the late hour, he received a rousing welcome from Dutch, French and British supporters there to applaud his super-human efforts in trying to overhaul race winner Jean-Luc Van Den Heede back up the Atlantic Ocean. Slats set a time of 214 days, 12 hours, 18 minutes 43 seconds but carries a 36 hour penalty for improper contact over the Sat Phone by his team manage which leaves him with a race time of 216 days 00 hours 18 minutes 30 seconds.